That’s right. Makeup is never enough. If you believe that too, continue shopping online for your desired Makeup Products at Farosh.pk. 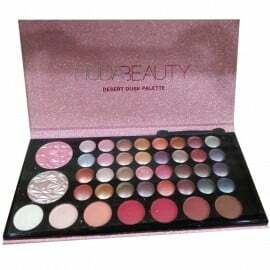 You can find all kinds of products, whitening creams and supplies, makeup tools and accessories like brushes and makeup sponges here. 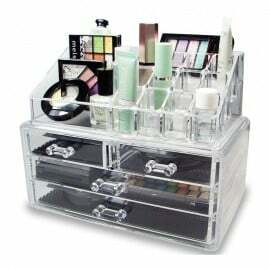 Moreover, accessories like vanity boxes, vanity mirrors, makeup organizers and your electronic beauty appliances are also available. You can find all kinds of makeup products like foundations, concealers, primers, setting sprays, setting powders, TV and camera sticks, eye shades, eye shadow palettes, lipsticks, lip crayons, lip primers, eyeliners, mascara, highlighters, blushes and palettes, bronzers, shimmers and all that you can think of. You can now buy genuine products online from the famous brands like Maybelline, Loreal, Garnier, Color Studio, Medora Cosmetics, Diana of London, Rimmel, Rivaj, Huda Beauty, Revlon, Clinique, Etude House, Oriflame and many more.